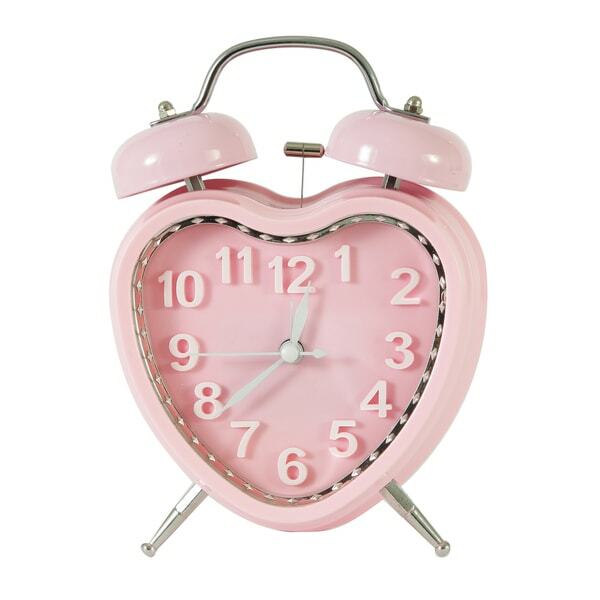 This sweet, heart-shaped alarm clock features antique-looking double bells and silver details. White hands keep the time and a real silver hammer sounds the alarm. This clock looks lovely in a child's bedroom, and makes a great birthday gift.